Getting song played count from savedata? Once in a while I want to calculate how much time I spent playing Rock Band 3. The way I do it is I sort my song list by play count and sum it all using an app I made. The question is: can I obtain that song play count numbers easily, i.e. copying my savedata from Xbox to PC? And if so, how do I "unpack" that Xbox file to some readable format? Wow, I completely forgot that was a thing that was stored. 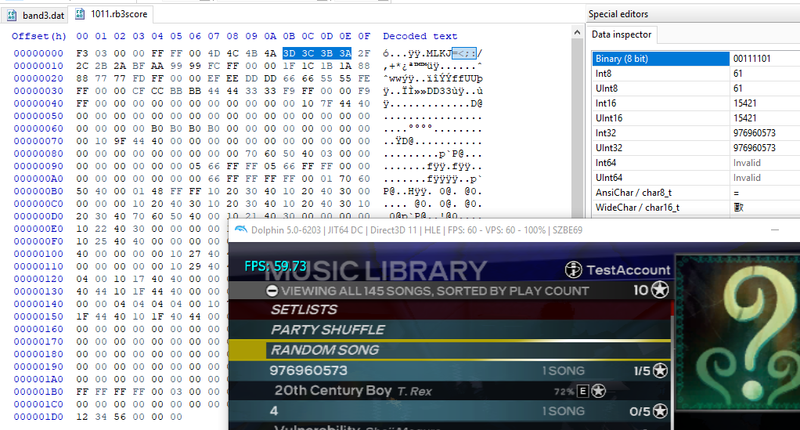 So it turns out that my RB3 Save Scores Viewer can help with that. You can open your game save with it and it should show you all your scores. Every score file you save has the play count data in the file. That's a feature I can add easily. Then, I may be able to add a feature to export all your data into a text file or something. Send me your save file and some play count numbers for me to check and verify it.